The ‘Old Bailey’ is the name given to the Central Criminal Court in London; its nickname is derived from the street in which the main building was built. It is one of a number of buildings in London making up the highest criminal court in the country. If you’re an American moving to London then the Crown Court which is within the Central Criminal Court can be likened to the very highest criminal courts in America. While the ‘Old Bailey’ is not a conventional tourist attraction, it is one of the most interesting places to visit when you are living in London. The building is built on the site of the ancient Newgate Gaol and has had a tradition in English law for hundreds of years. 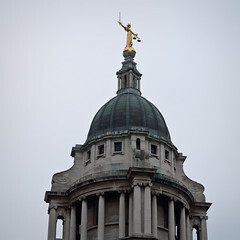 British courtrooms are much more formal than courts in other countries and traditional dress, which includes the traditional wig, is worn by all advocates, who appear before a judge who is robed. While it may seem at odds with modern times, and has no bearing on a modern legal system, there is actually a good reason as to why the uniform and traditional dress is still worn. In cases heard by a jury, it is not the antics of the lawyer or the dress of the lawyer that should have any bearing on the case at hand. If all court officers are dressed in the same manner there can be no grandstanding or theatrics. One of the most fascinating aspects of visiting the ‘Old Bailey’ is the chance to watch a trial from one of the public galleries. Children under the age of fourteen are not permitted into the courts, but there is no charge for a visit to the ‘Old Bailey’ and it is another fascinating glimpse into traditional while you are living in London.